The Topaz Collection is created of FSC 100%, solid heartwood, Ipe timber by award winning Italian designers Edi and Paolo Ciani. 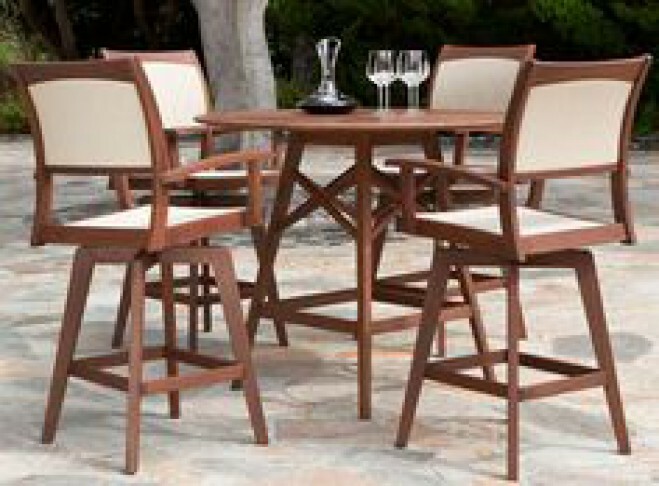 Whether you select a dining or bar height, Natural or Ponderosa color sling, you will be pleased with the comfort, resilience and most of all elegance of the Topaz Dining Collection. It is a clean and contemporary look designed to enhance your unique outdoor space.